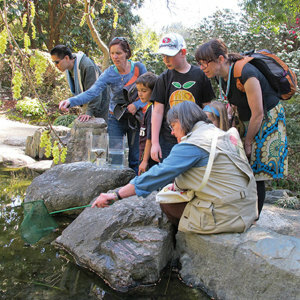 Discover the world of plants at the UC Botanical Garden. 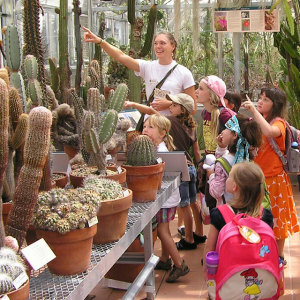 With paid admission, we offer free docent-led Plants of the World tours on the first Wednesday of the month and every Thursday – Sunday at 1:30 pm. Free tours are not for organized groups, due to limited space. 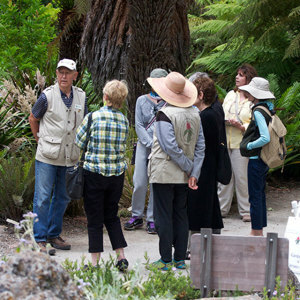 Groups should schedule a private tour; choose from a variety of topics, listed below. Each tour can be designed to accommodate your needs, and any tour topic can be modified for an adult audience or special group.